On Saturday 3rd December my friend Zwarte Piet and I will again pay a visit to Flanders House in London (1A, Cavendish Square London W1G 0LD). Please tell your parents that the Vlaamse Club Londen is organising a party from 15.30 till 18.00. Zwarte Piet will bring yummy treats for you and will be cooking pancakes for your parents. 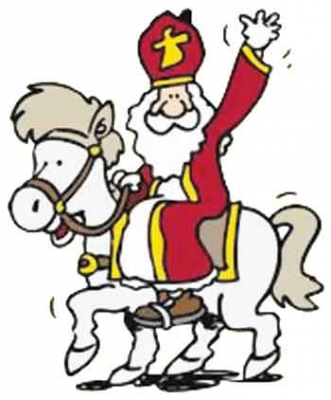 I will bring my big book of knowledge, music and toys and gifts for the children. If you would like to come and see me at Flanders House on 3rd December, then please ask your parents to complete the registration details for each of the children, as soon as possible and no later than 20 November 2016. Looking forward to seeing you in December. In the meantime... be good!